Document Notes: Discussion of Lt. Com. K.D. 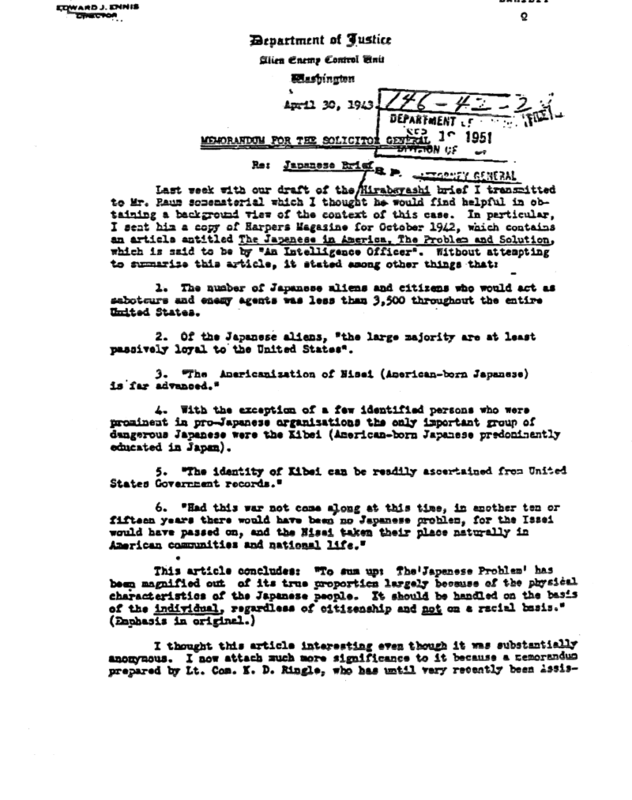 Ringle's analysis of loyalties among Japanese in America.